These totes are something you don't want to miss out on! They are tough and great for the environment. 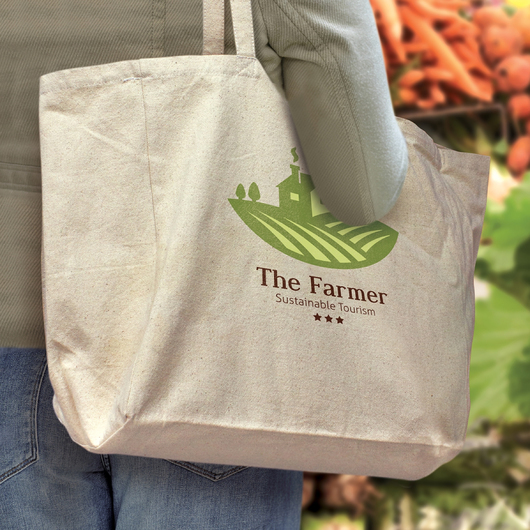 These totes are a bag that can be used everyday, whether you are grocery shopping or simply carrying items for school, work or University they are an excellent fit. They have a very large size with an extra wide gusset and fabric lined hard base for improved strength and stability. 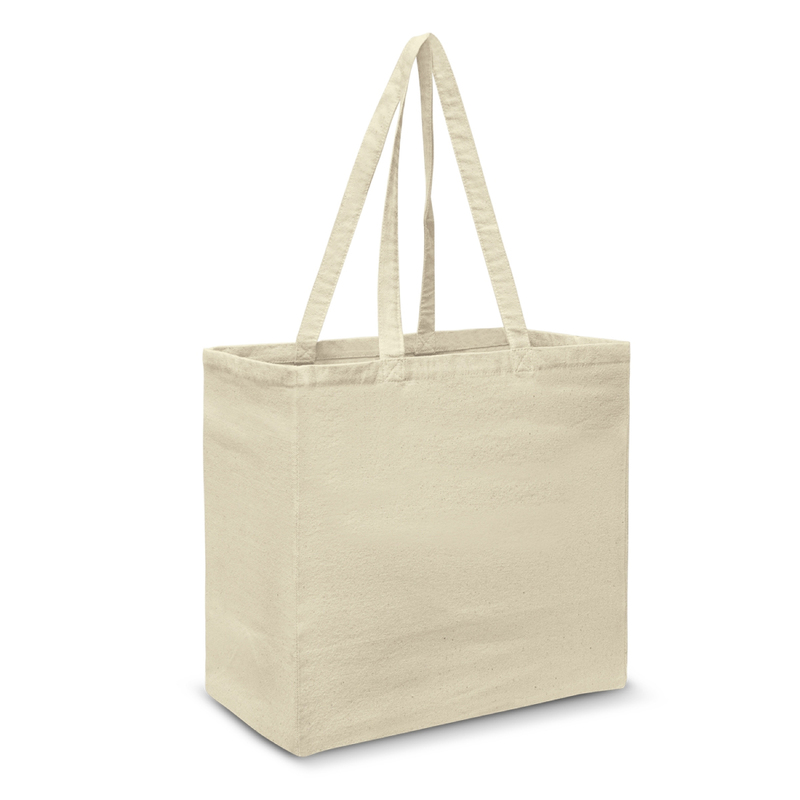 They are made from 280gsm natural heavy cotton canvas with matching long carry handles. 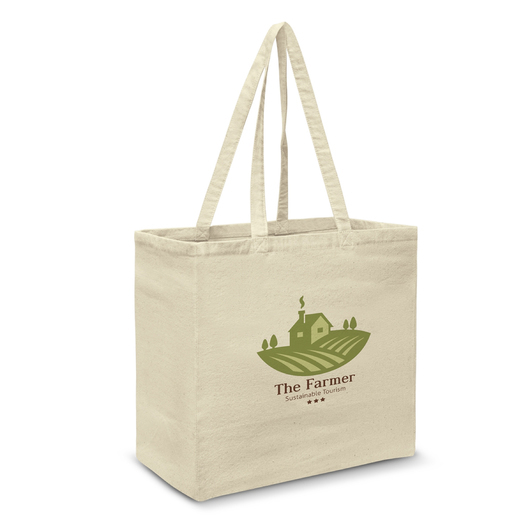 An attractive cotton tote your clients and staff will love!